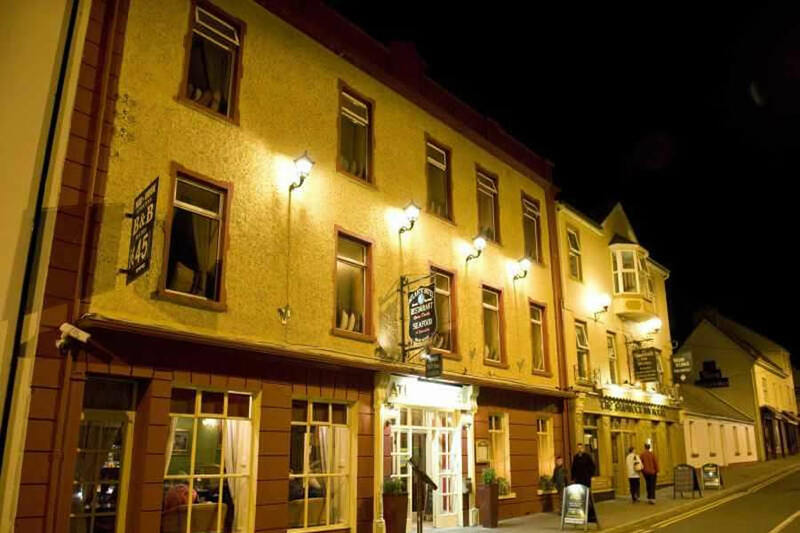 TheAtlantic Hotel Clare is a family run hotel in Lahinch you can expect personal attention and genuine concern for your needs offering quality accommodation in Lahinch County Clarea picturesque seaside town. It also only a two minute walk from the famous blue flag beach which is perfect for surfing, wind-surfing and many other water sports. The hotel is located in the Main Street of Lahinch, Co Clare, only minutes from the town of Ennistymon. The Cliffs of Moher on the west coast of Ireland are one of the most outstanding coastal features of Ireland. The cliffs rise from Doolin and ascend to over 213 metres just 3 miles south of the village of Doolin. Being almost vertical, their sheer drop into the Atlantic ocean is a haven for sea birds. We stayed for one night, the staff were very friendly and the food was lovely. The hotel was nice and the room was lovely but unfortunately the shower took ages to heat up and when it did it only got luke warm. The hotel was right in the town center and parking was free out the back. Great value for money, food was fab, good location and staff were very friendly. Thoroughly enjoyed stay at this hotel, the staff were so helpful and courteous. Nothing was too much trouble for them. Very co-operative and helpful at all times. Food was excellent and the location was perfect. Room was perfect. Would definitely recommend this hotel to others and would return again for a nice break. It doesn't have leisure centre etc. but we knew that going there. Great value for money on the lid breaks. We stayed in the Atlantic for three nights. There is a very friendly welcome to a hotel that is a bit dated but extremely clean. The first impression you would get from the room is something out of the 70s and while it is basic, it is very comfortable and cleaned on a daily basis. The bar area was always busy with food and the quality was second to none and plenty by way of quantity. If I was staying in Lahinch, it is a hotel I would stay in again. The rates were very favourable (€35 b&b in July is very acceptable) and it is central to other bars and restaurants in the town.as well as the beach.